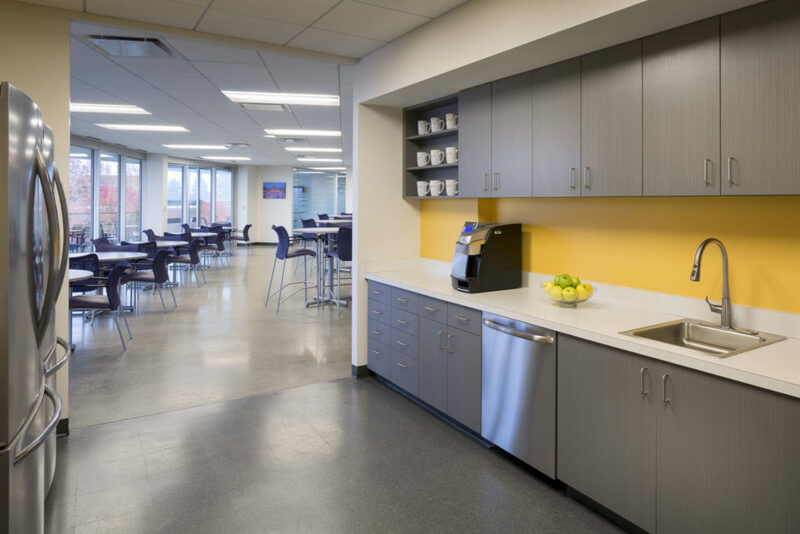 25,000 sf interior office renovation including offices, conference rooms, kitchen area, and data center. 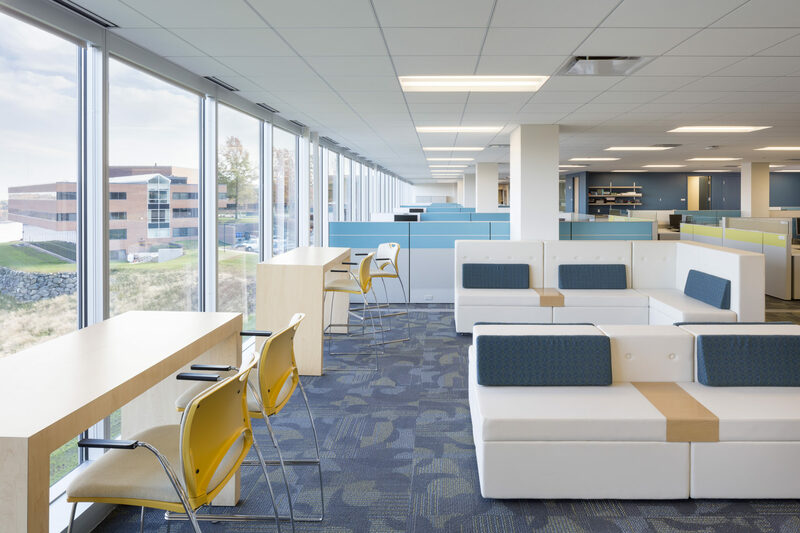 An open office environment was created through all glass office fronts to promote transparency and provide unobstructed views of the adjacent Waltham Reservoir. 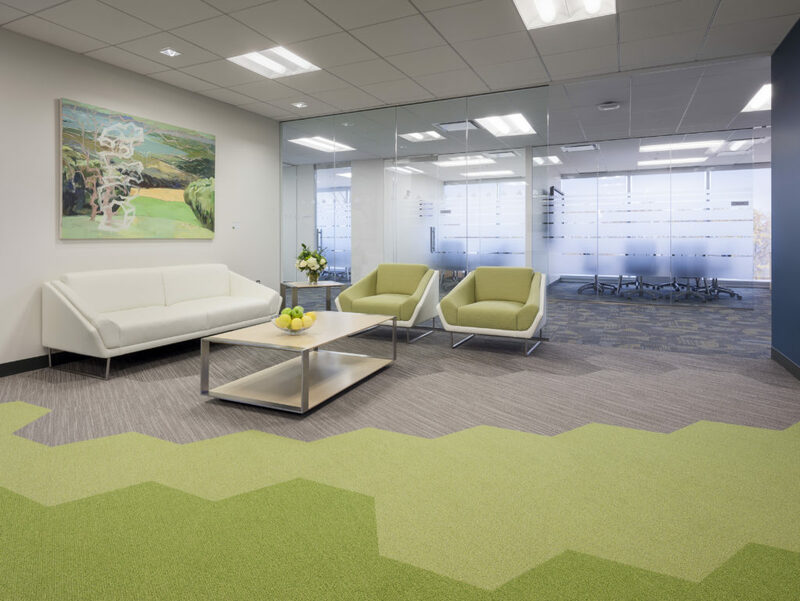 Finishes included polished concrete floors and Shaw Hexagon carpet tiles. 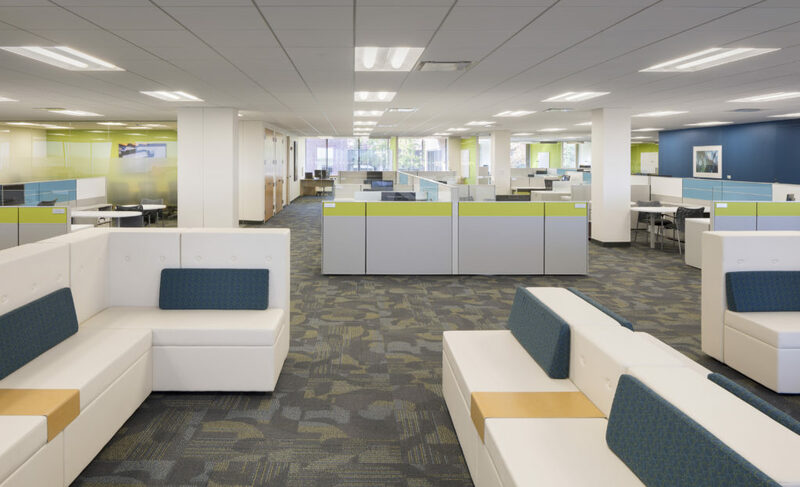 A new data center and IT room was installed as the hub of the office’s completely wireless tel/data & audio visual system.